This whole video is filled with cuts of Jason Voorhees and Alice Cooper. My favorite part is near the end when the movie concludes. Alice is walking home alone and is suddenly pulled into the woods by Jason! Friday the 13th is a favorite date of mine. An unlucky day for those of us living in the western hemisphere, it boasts a superstitious history that dates back to Middle Ages! While most cower with fear, I celebrate the date by getting drunk and watching the Friday The 13th films. 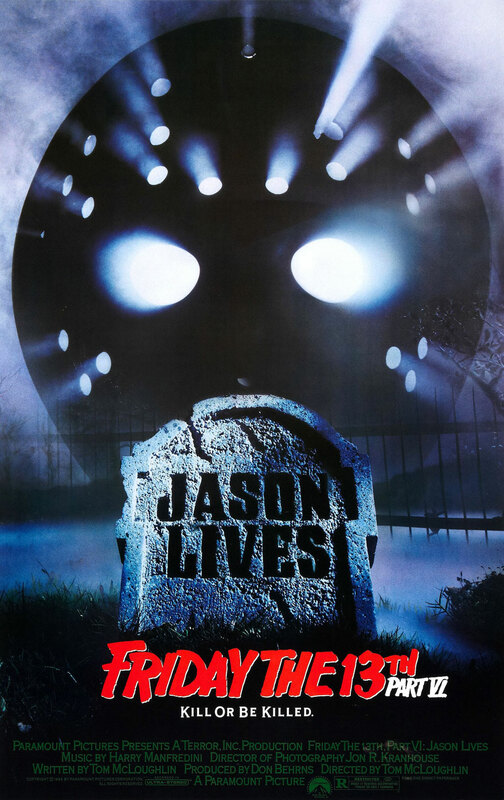 One of my favorites is Friday The 13th Part 6: Jason Lives! (1986). Not only does this slasher classic open in a graveyard, it features the death of Allen Hawes aka Arnold Horshack (Ron Palillo 1949-2012) in the first ten minutes! There’s also a song and music video from Alice Cooper! Normally, I don’t like to use the word legendary when I talk about artists because it seemingly implies old but in this case that statement is accurate. Alice Cooper born Vincent Damon Furnier has been wowing audiences since 1960! Alice Copper’s debut record, Pretties For You, came out in 1969! Aside from being a clever songwriter, Alice has had the knack to re-invent his sound repeatedly. From hard rock, to heavy metal to something in between Alice Cooper has managed to keep relevant. Of the many Alice renditions, I prefer ‘80s Alice the best. His ‘80s comeback began with Constrictor (1986) & Raise Your Fist and Yell (1987). This lineup featured guitarist Kane Roberts and bassist Kip Winger. Alice’s appreciation for horror films was self-evident on both these records. From “He’s Back (The Man Behind The Mask)” to “Prince of Darkness”, a song for which Alice played a role in the John Carpenter’s creature feature, Prince of Darkness (1987). The shock rocker became a horror icon overnight. The video for “He’s Back (The Man Behind The Mask)” is a classic offering. It opens with Alice posing as a deranged psychiatrist, giving advice to a young lad about to go out on a date. With cuts of the actual film thrown in, we are treated to a plot where a young couple goes to a show. The movie is Friday the 13th. During the film, Jason Voorhees swings from a rope and breaks into the theater! 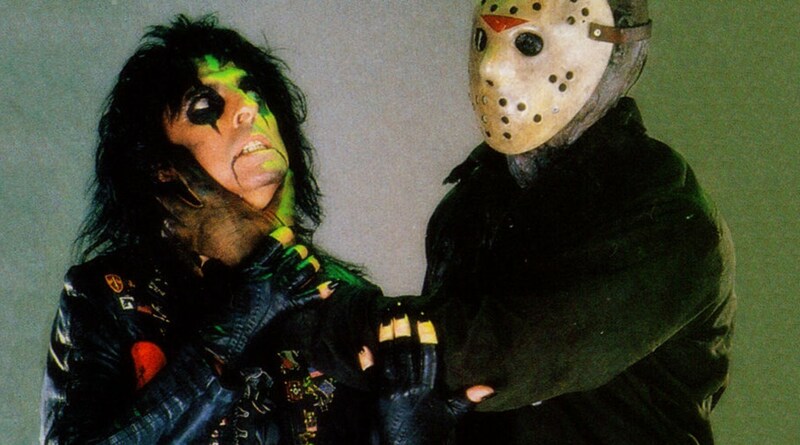 He approaches the frightened pair and tears off his mask, it’s Alice Cooper!